A histria dos Sete Raios Mgicos contada pela Mchia Dourada, uma flor nica, exclusiva da Madeira. Muitos chegam apressados para ouvir a Mchia falar sobre um sol especial dentro de ns que liberta raios que mudam tudo e todos. Esses raios penetram no corao dos humanos e depois saem atravs das suas aes. So formas de energia que criam a vontade, o amor, a inteligncia, a harmonia, a concentrao, a lealdade e a liberdade. Sem elas no podemos entrar no Reino da Perfeio, onde habitam seres lindos com muita luz. 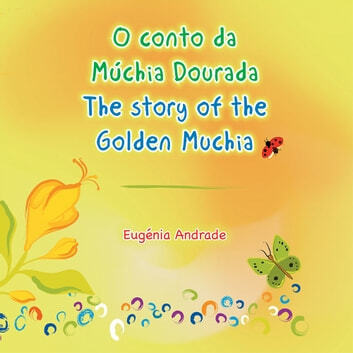 The story of the Seven Magical Rays is told by the Golden Muchia, a unique flower found on the island of Madeira. 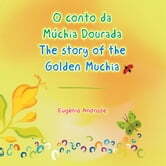 All rush in to listen to Muchia talking about a special sun within us that releases rays that change everything and everyone. They penetrate the hearts of the human race and then are released through their actions. They are forms of energy that create will, love, intelligence, harmony, concentration, loyalty, and freedom. Without them, we cannot enter the Kingdom of Perfection, a light-filled kingdom home to many beautiful creatures. Você é um SWIMP? "Are U A SWIMP?"